First Class Automotive knows how important it is to stay mobile while your car is being repaired. We offer Complimentary Loaner Vehicles while your car is in for repair, we only ask you to replace the fuel consumed while in use. All you need to do is ask when scheduling an appointment and we will be happy to schedule the next available day with a loaner! 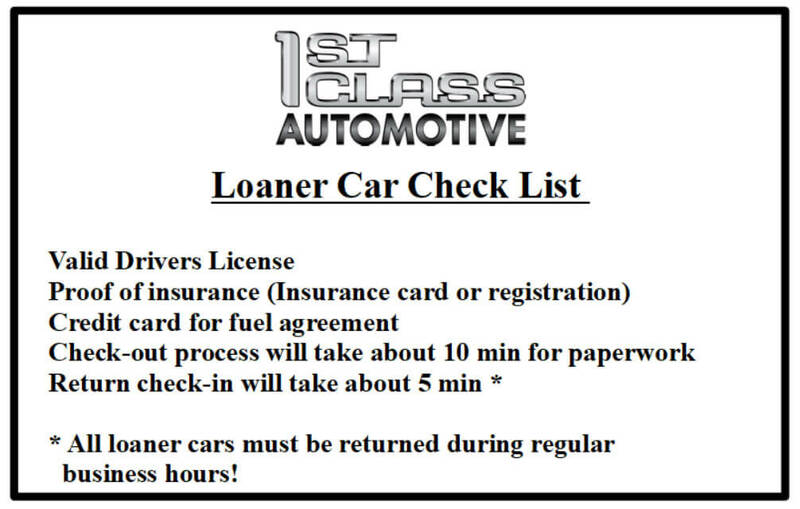 Below is a check list of the items you will need when acquiring a loaner. Please let us know if you have any questions.